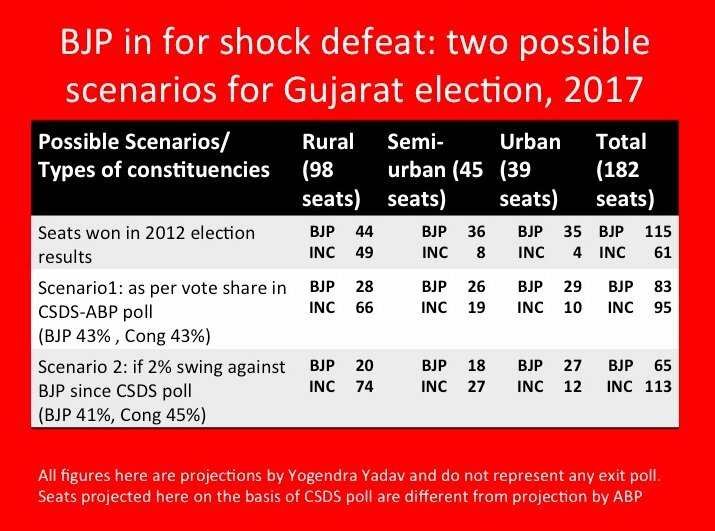 Probabilities are many as per the records of past present and anticipating with pulse of people the many fold permutations and combinations more than two probabilities are going beyond predictions of the results. The Saffron will have outright victory or not is the moot question,second next shall saffron is coalition is dim, outright victory to crowned Prince Congress is feeble due to his lack of experience to delivery of host of state development strategies on which the diction of the campaign is of paramount thus Gujarat vote is best experience to the scion of old guards. Rahul Gandhi is essential on higher curve of his performance but votes are the sole narratives to describe his regional support level.